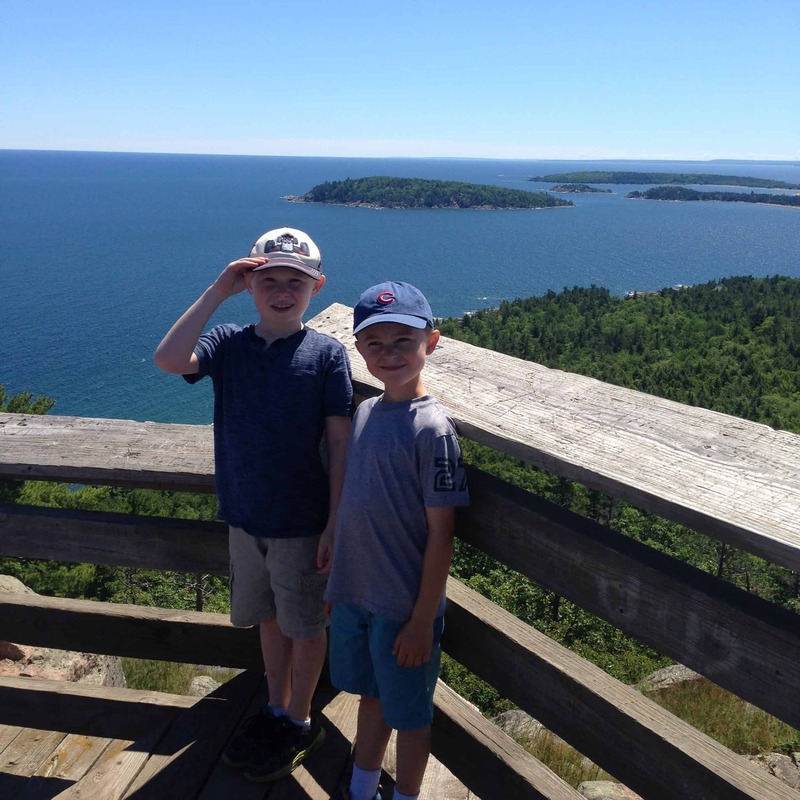 A few weeks ago we headed back to our last hometown of Marquette, MI for a summer visit. Marquette is so far from any major city that many people never get there. I think it’s one of the best places on earth and that it’s well worth the travel to get there! Actually while we were living there I started an Instagram account called @BrightGreenOutdoors where I shared gorgeous images of the outdoors. 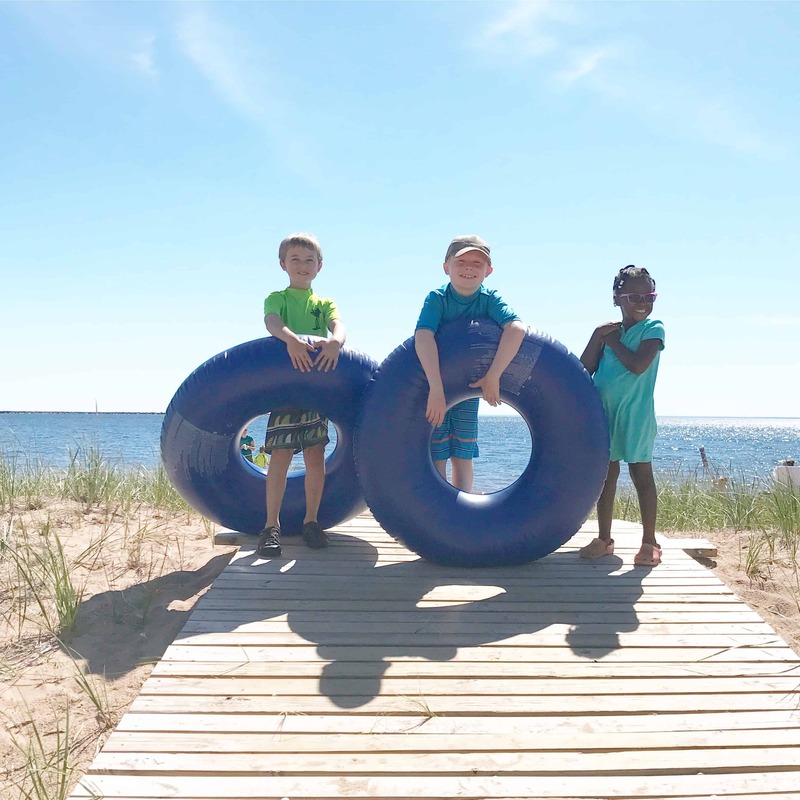 In case you’ve stumbled upon my blog and you’re traveling to Marquette, here is my list of things to do in Marquette, MI with kids! Morgan Falls– Morgan Falls is such a magical place. My kids love playing in the pond at the bottom of the waterfall. It’s surrounded by streams and feels like you’ve really escaped here. You have to drive down a rough road to get here, otherwise you can park and walk in about a mile and a half. From the road it’s just a short hike down a few staircases to the falls. 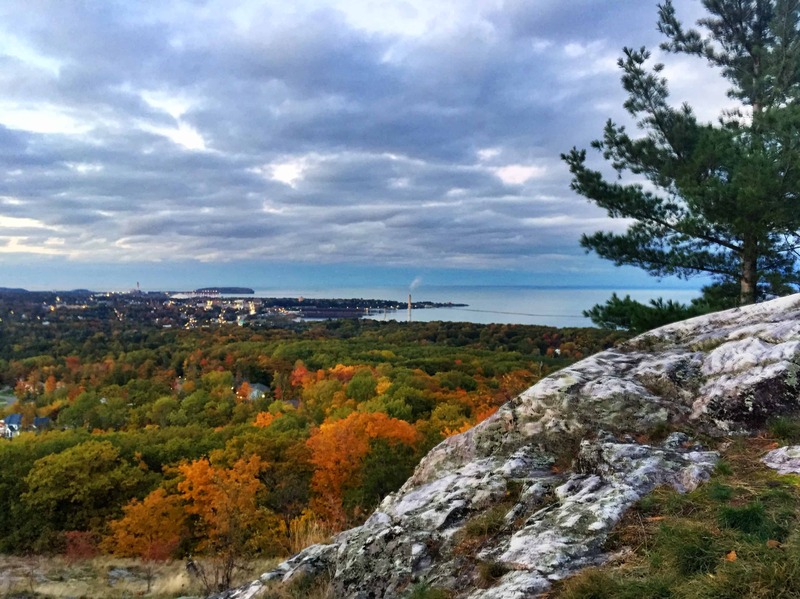 Sugarloaf– Sugarloaf is the iconic “Marquette Hike” that everyone does. It’s an easy 20 minute hike with lots of stairs. 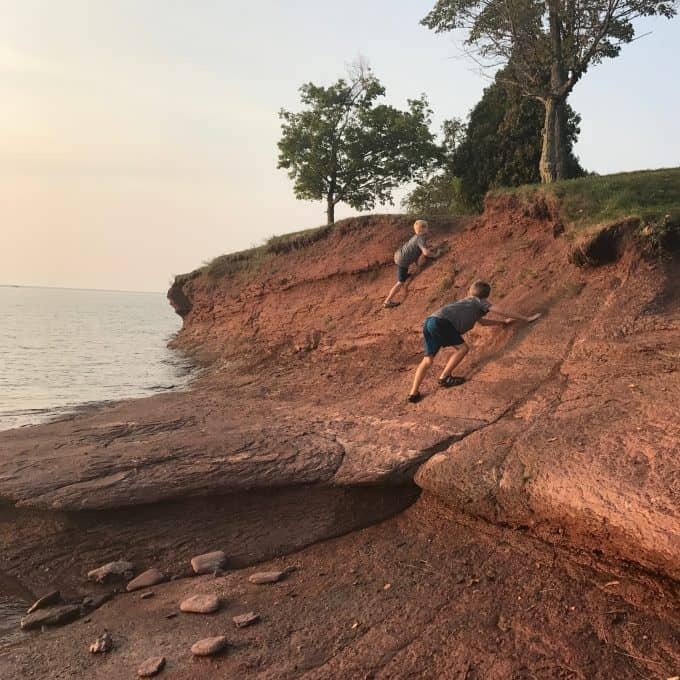 My boys love attempting to get to the top without taking any of the stairs. Once you’re at the top the 360 views are amazing. I’ve probably done this hike 50+ times and loved it every time! Mt. 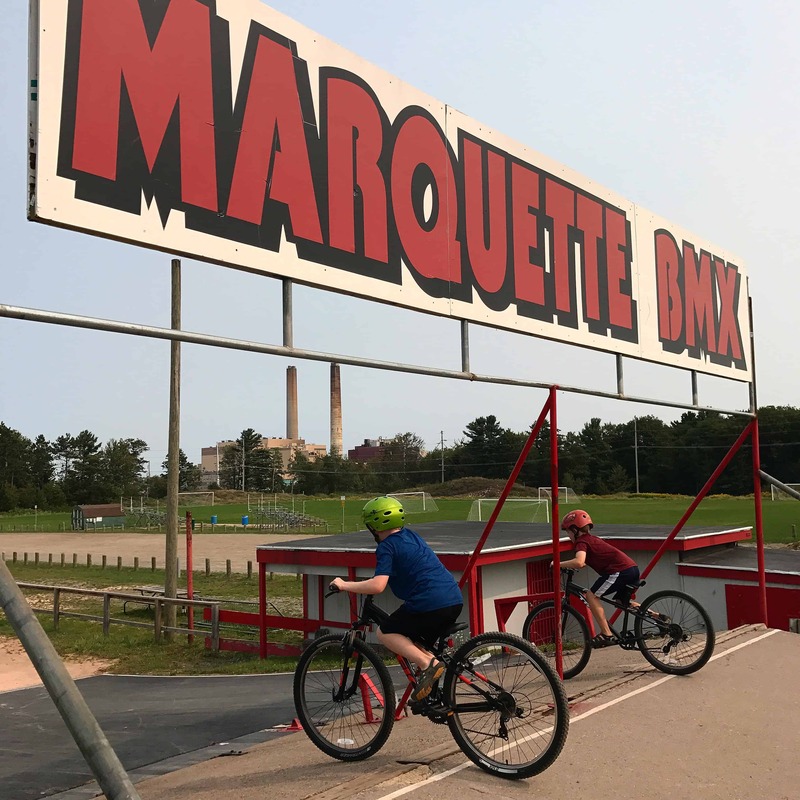 Marquette– You can either hike the South Bike Trails from the Shiras Park Playground, or you can drive up here. I’ve done both and I just love the views of Marquette from here. It’s a fun easy drive, otherwise I’d say it takes about 45 minutes to hike here from the playground. Waterfront Bike Path– Marquette has a bike path that runs along the lake all the way from the Harvey Welcome Center to Presque Isle. 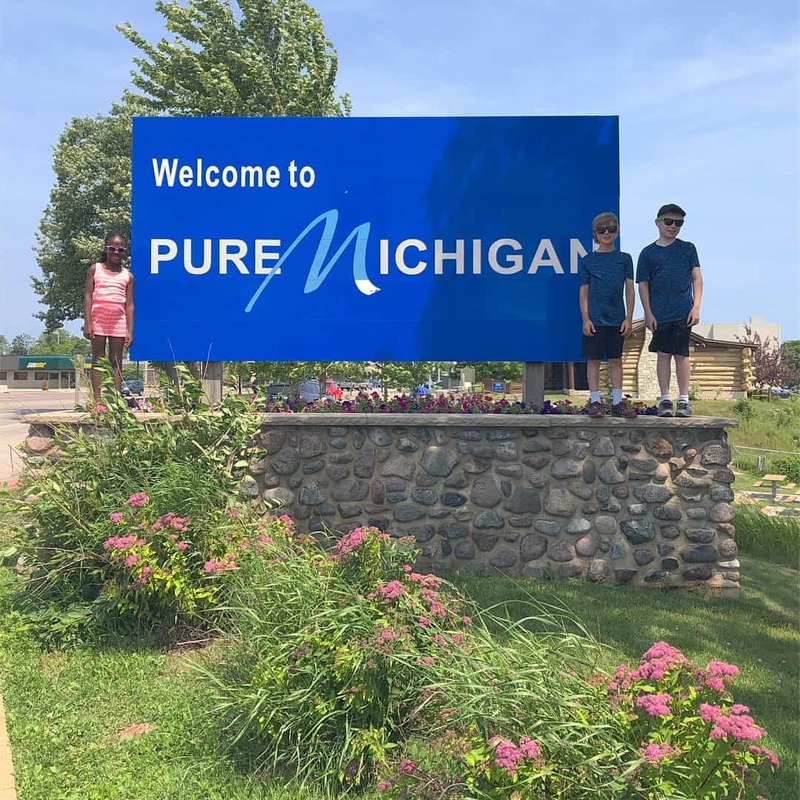 We love walking every section and just looking at the people, businesses, and lake. It also goes past Marquette’s famous Iron Ore Dock. We like to park at Lower Harbor and walk from there. Huron Mtn. 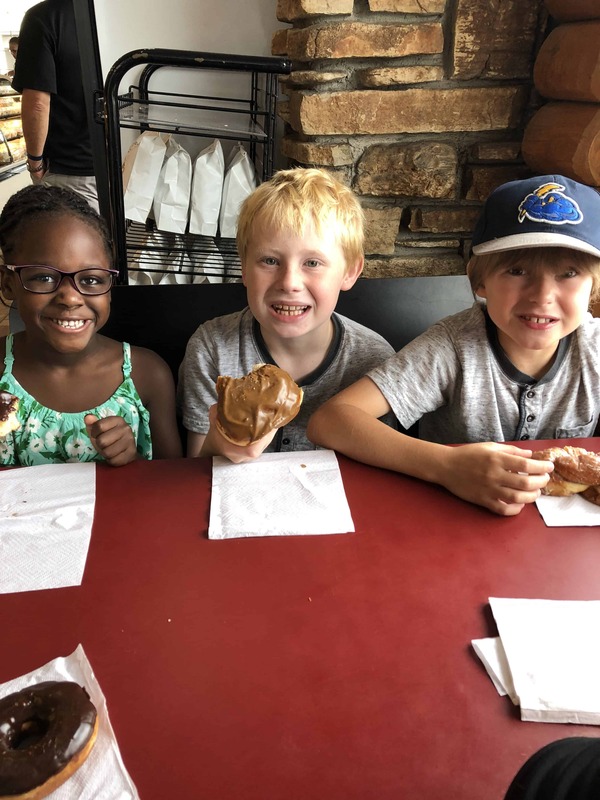 Bakery – This is our favorite donut and muffin spot. It’s usually super busy but always worth the wait! The Rice Paddy– This is the absolute BEST place to get takeout. A woman name Aoy runs the show here and I can bet that she’ll call you “girlfriend” or “boyfriend” when you walk in. Often the wait is over two hours, but I promise it’s worth it! I LOVE her cream cheese wontons and chicken curry, or her pad thai! Jilberts– At Jilberts you can go for ice cream, and also during business hours watch the milk being bottled on the assembly line! 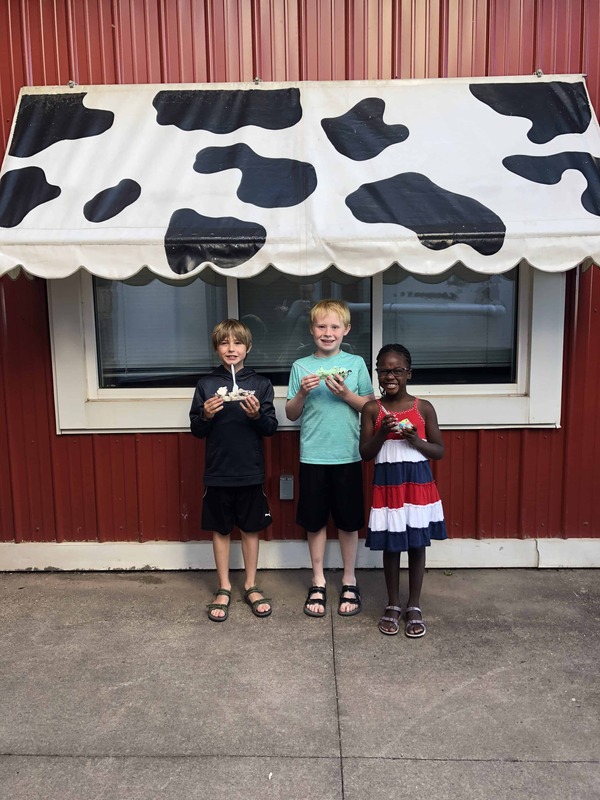 You can also enjoy your ice cream outside with their giant cow statue. 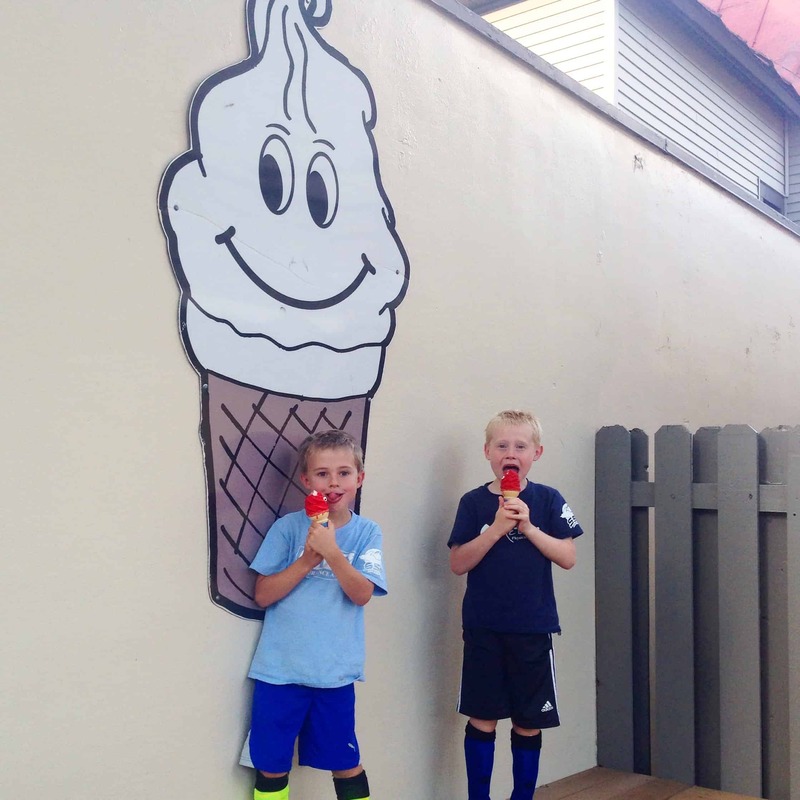 Frosty Treats– Frosty Treats is another Marquette staple. In college we’d go here for the $.25 “mistakes”. It’s just a walk up ice cream window but it’s always got a line. My kids love that the kids ice cream comes with “eyes”! 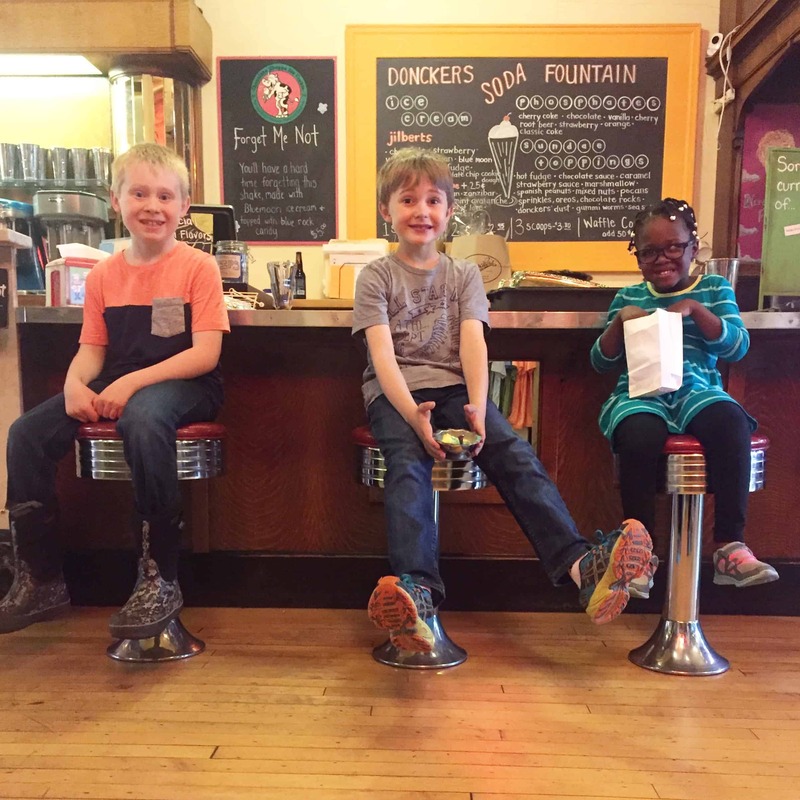 Donckers – Donckers is an old fashioned soda fountain, and they also have a delicious restaurant. My kids LOVE picking out a pound of candy. I can hardly ever pass up their salted caramel chocolate dipped oreos! 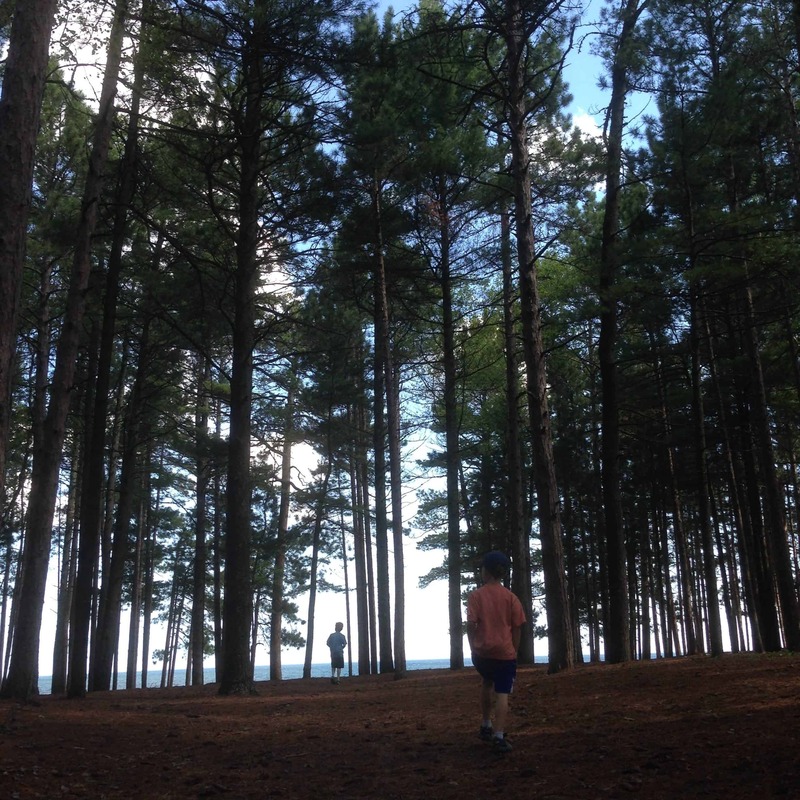 Presque Isle/Black Rocks– Presque Isle is a peninsula that you can drive or hike around. On the back side is black rocks which is a famous cliff jumping spot! It’s ALWAYS super cold but exhilarating to jump! Even my boys both made the jump at 6 & 7! Little Presque Beach– This beach is a short drive out of town, but well worth it. The walk from the parking lot to the beach has so many tall trees that it feels like you’re in a fairy tale! The waves out here can be really fun too! There can be riptides here though so you have to be aware! We usually stick to the beach and only wade in. 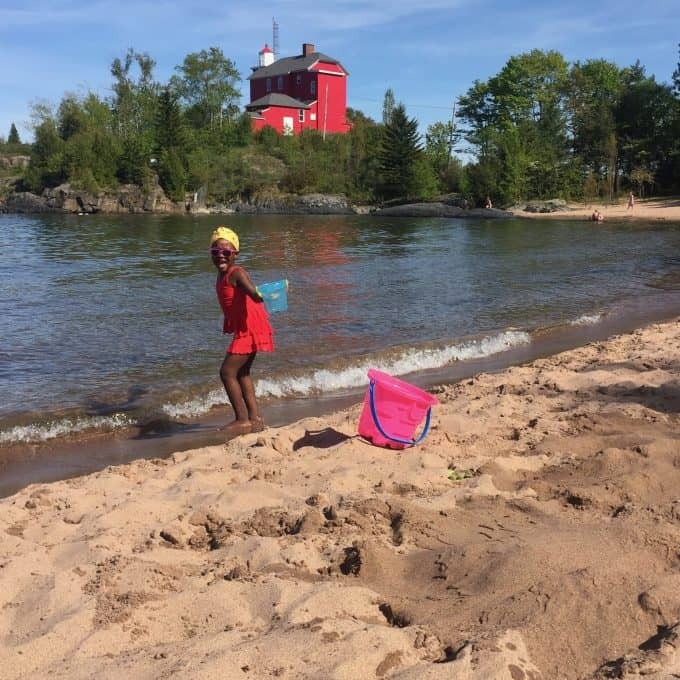 McCarty’s Cove – This is our favorite beach to swim at! The lighthouse is a gorgeous backdrop and the cove makes the water here a bit warmer! My kids also like swimming out to the rocks and playing in the little lagoon here. Clark Lambros Beach– This is Marquette’s newest developed beach and it’s really nice. They’ve got foot wash stations and boardwalks which is really convenient. It’s also close to the ore docks which makes for great ship watching! 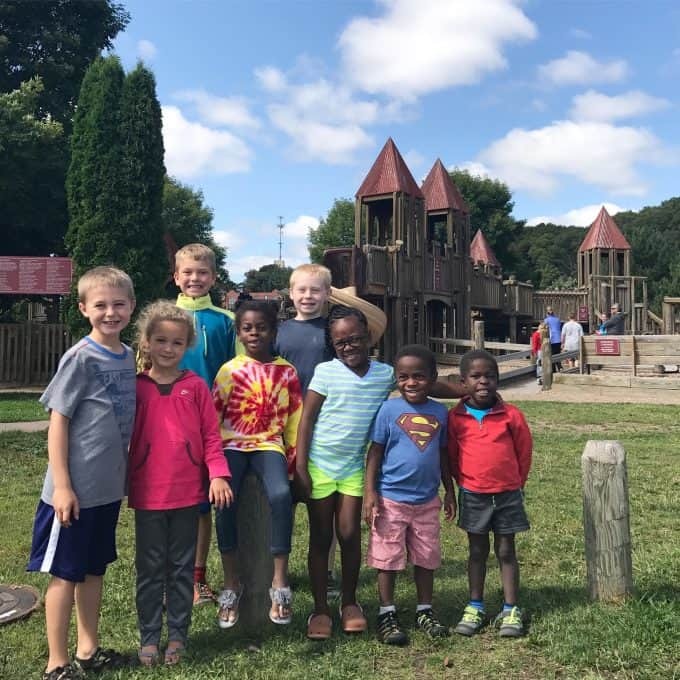 Kid’s Cove at Mattson Lower Harbor– I’ve heard this park is going to be renovated, but it’s my kids favorite playground. It’s right on the lake so it’s fun to watch the boats from here as well. 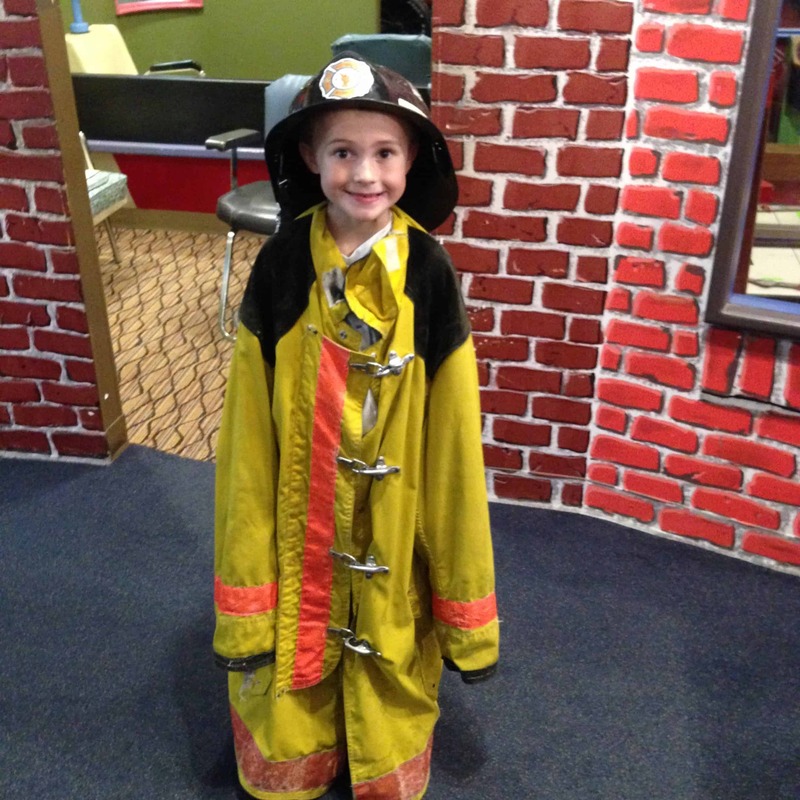 Children’s Museum– For a small town the Children’s Museum here is great. My kids are getting to be a bit old for it (6, 8 & 9), but they still enjoy it for an hour or two. Peak Open Gym – When we lived in Marquette we were regulars for every Tuesday open gym. 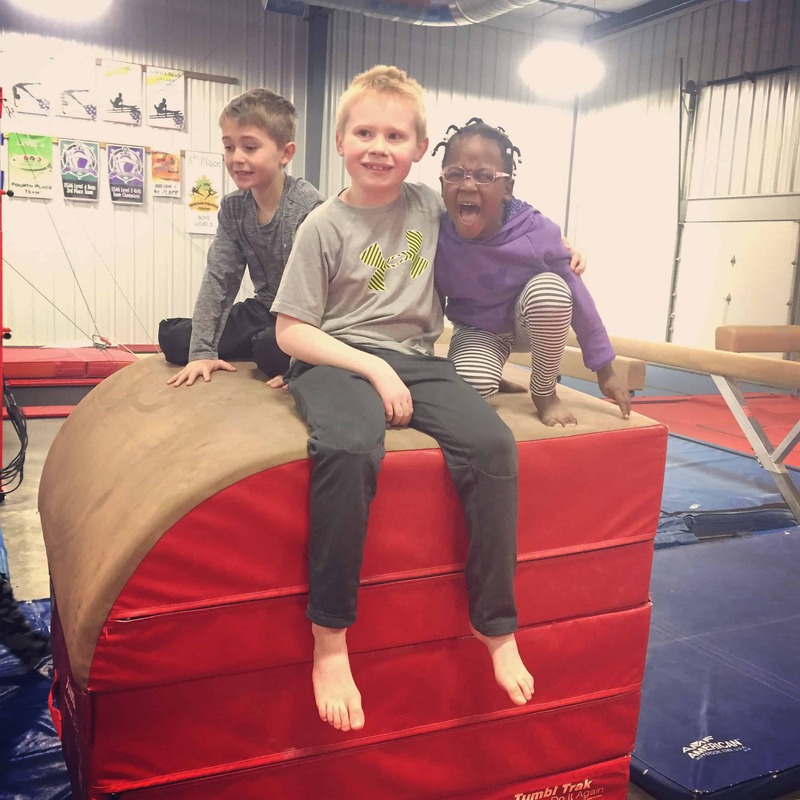 They’ve got foam pits, trampolines, and lots of other fun gymnastics equipment. This is a great place on a rainy day! Watson and Watson Cave– I couldn’t find any pictures of this, but this downtown jewelry store has a “cave” that kids can walk through. It takes all of five minutes, but if you’re downtown it’s fun to stop in for. My kids can never resist spending their money on “gems” afterwards. 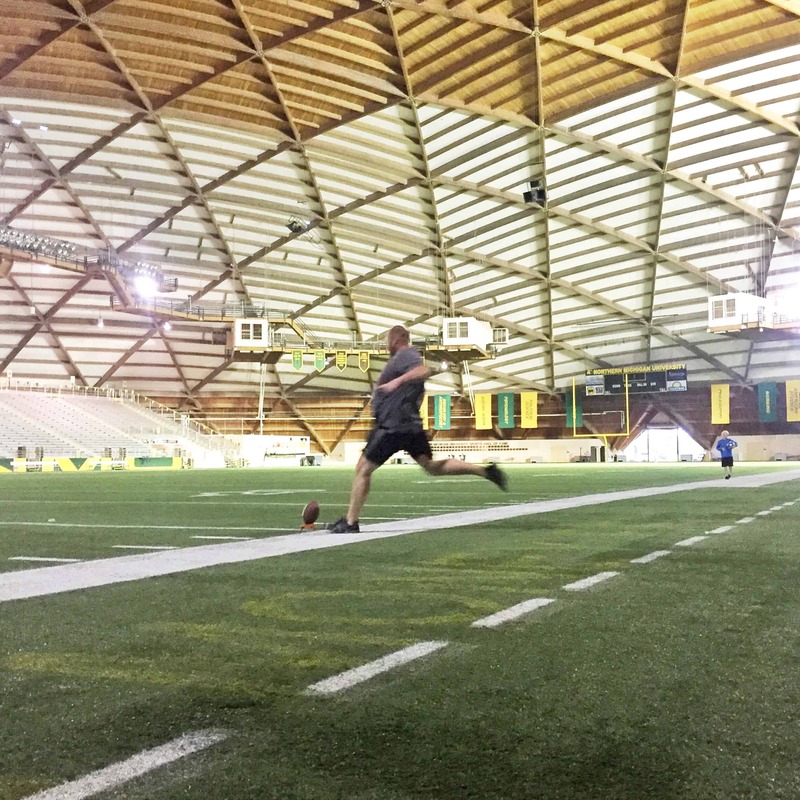 The Superior Dome– The dome is on the campus of NMU (my alma mater) and is the world’s largest wooden dome. Often they are open to the public for walking and playing on the field. My boys love playing football on the football field that my husband played on! It’s also great for just about any sport. BMX Track– The BMX track is my boys’ favorite place to bike. 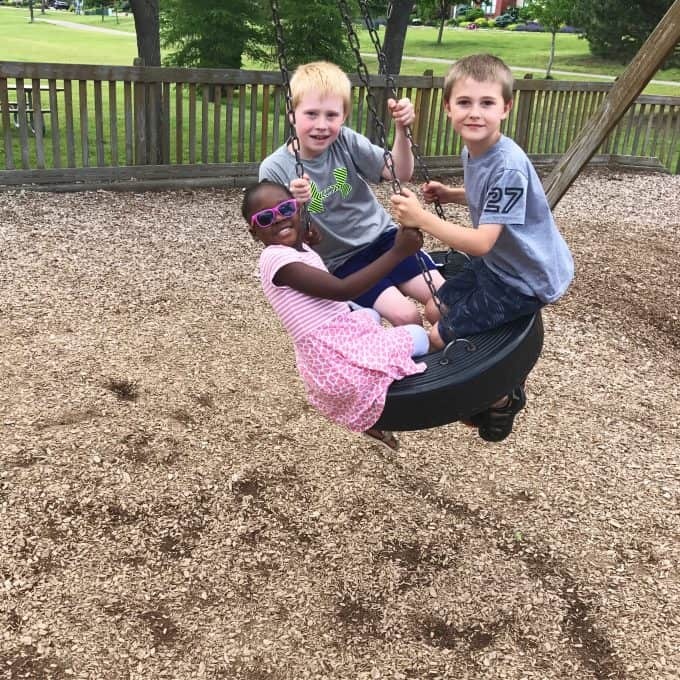 They love the jumps and “racing”. It’s a fun place to just hang out while they bike. 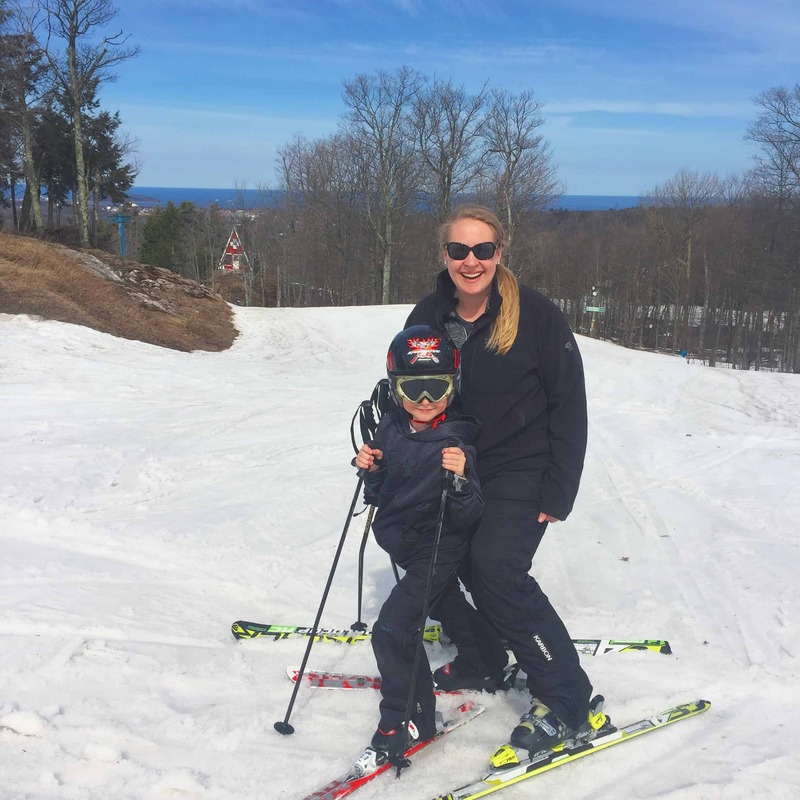 Marquette Mountain– Most of these activities have been summer ones, but I can’t leave out one of my favorite places on earth! This ski hill is where I spent my college ski racing days. It’s also where my boys became excellent skiers. It’s a perfect “small town” mountain where you can park and be on the hill within five minutes! 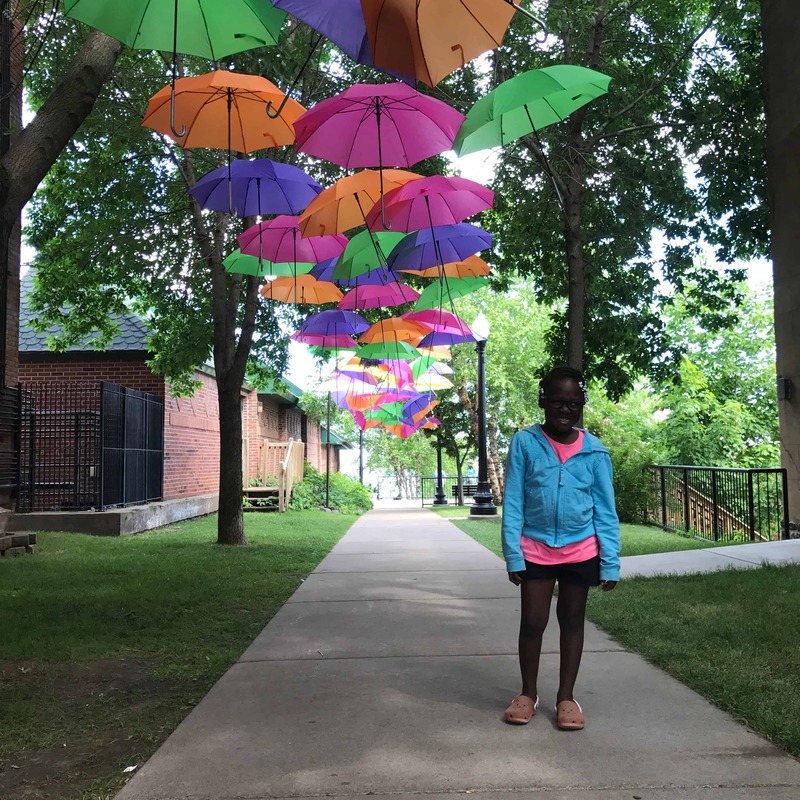 Rosewood Walkway– The rosewood walkway is right downtown and for two years now has had summer art displays! Last year it was umbrellas and this year it’s butterflies! It’s a fun photo spot and is just whimsical and pretty! 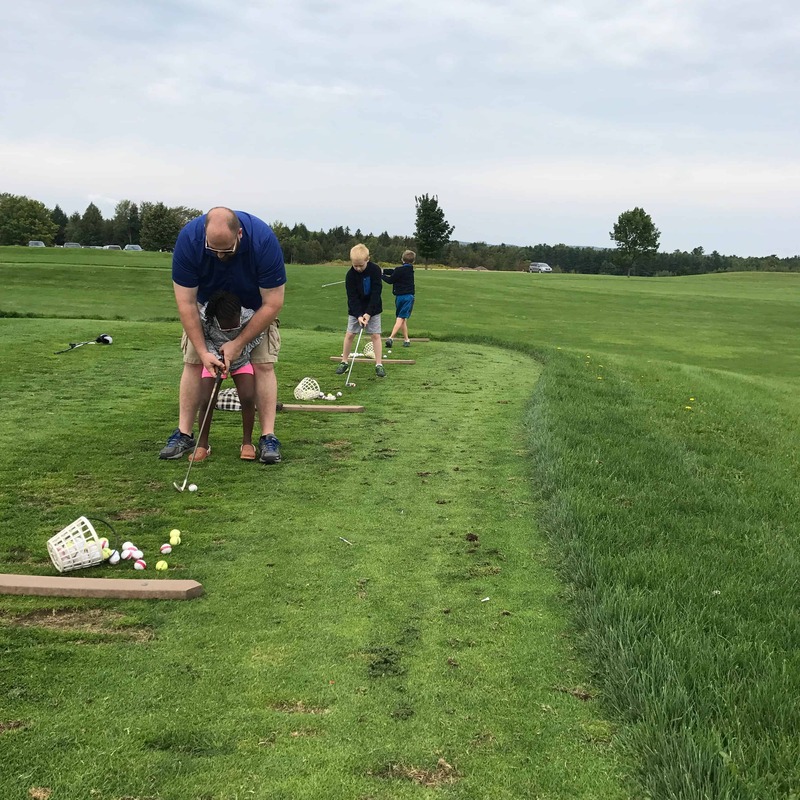 Gentz’s Driving Range- This driving range is about 15 minutes out of Marquette and we love it here. A bucket of balls is cheap entertainment and it’s a casual course without any dress code or side-eye towards kids! 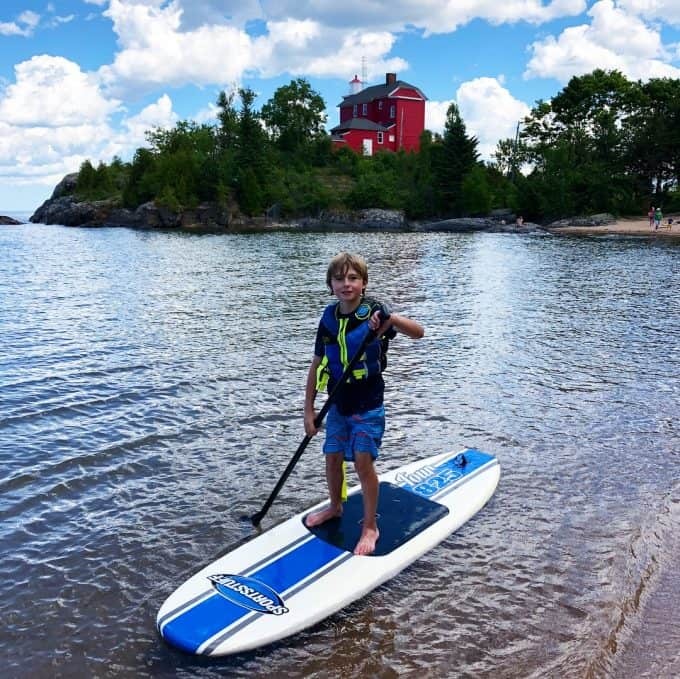 Although this post is mostly family friendly activities, Marquette also has tons of fun for adults. Breweries– Most of these are family friendly, but not exactly a “fun kids activity”. I’m not a beer drinker but my husband is and these are his favorites: Blackrocks Brewery, Ore Dock Brewing, Barrel & Beam, and The Vierling. Coffee Shops– For a small town Marquette has a ton of great coffee shops! My favorites are: Contrast Coffee, Dead River Coffee Roasters, and Velodrome. Shopping– I’ve shared an entire post about it already, but I love Revisions Design Studio! I also love shopping for clothes and shoes and Getz’s. 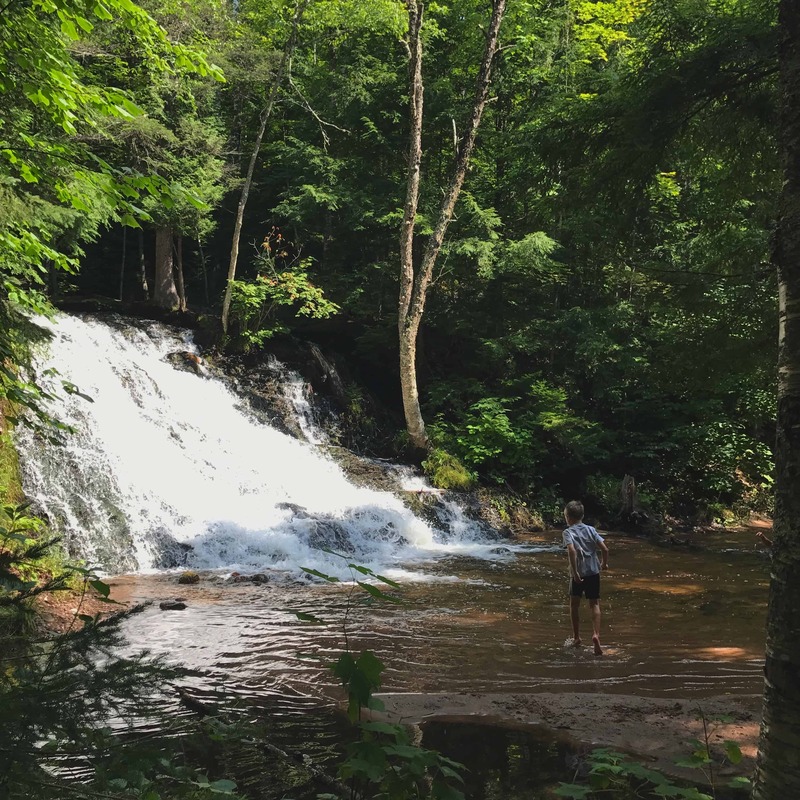 I wanted to mention that there are lots of other fun activities all within a short drive of Marquette. A few of our favorites are: Lakenenland, Deer Lake, Thomas Rock Overlook, Iron Ore Heritage Trail (Jackson’s Pit), The Au Train River. 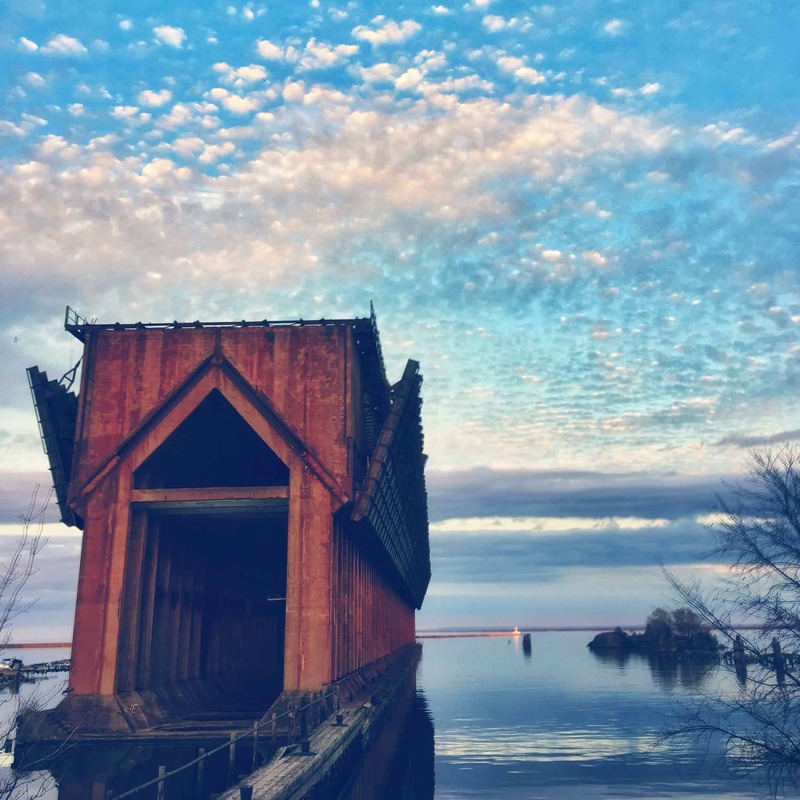 If you’re looking to drive a bit further, I shared my guide to the Copper Country. 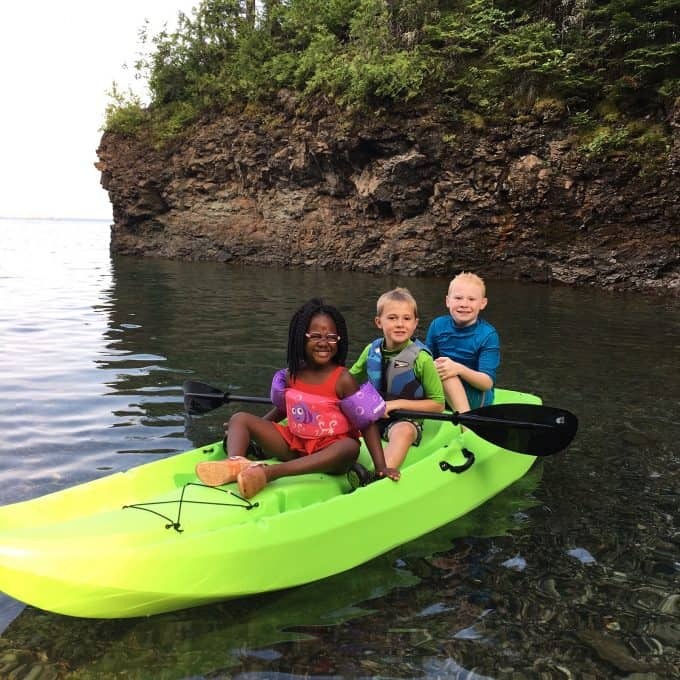 There’s also a ton to do in the Porcupine Mountains, Munising and in Sault Ste. Marie. 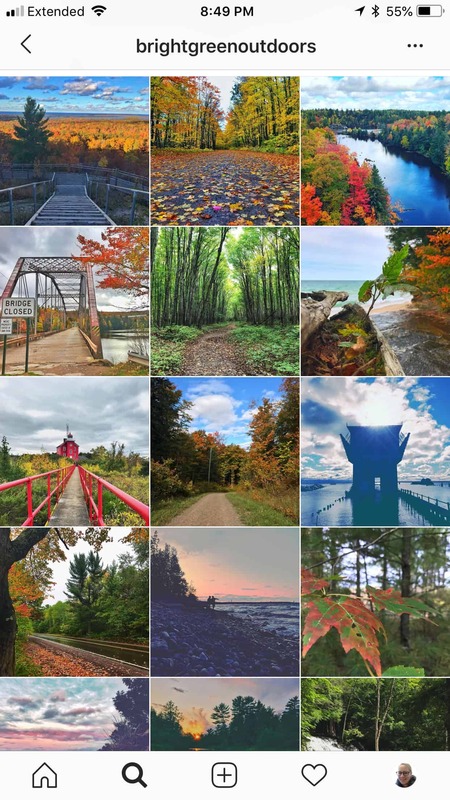 I hope this list was helpful and I hope you get to experience Marquette and the Upper Peninsula in your lifetime! It really is a magical place, and especially wonderful to enjoy as a family! Thank you so much for reading today!